Every fall, Panasonic and Sanyo release their latest home theater projectors, and every year there is a competitive face-off between them. These two vendors have been particularly innovative over the years, and both have been aggressive in price as well. Quite often, new ideas and features appear on Panasonic or Sanyo products before they appear on any other brands. This year is no different. 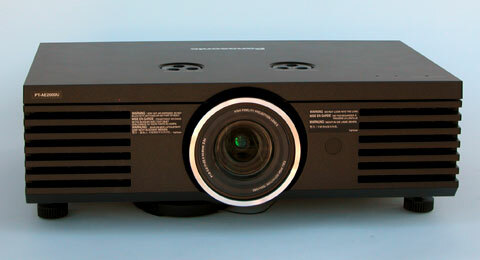 Both the Sanyo Z3000 and the Panasonic AE3000 have the distinction of sporting unique features that exist on no other home theater projectors on the market. The Panasonic AE3000 was the first home theater projector to come to market with on board frame interpolation. It also has a novel Lens Memory system that allows the lens to automatically reconfigure itself at the touch of a button to accommodate Cinemascope format projection on a 2.35 format screen. This provides a cost-effective and practical alternative to the use of an anamorphic lens. 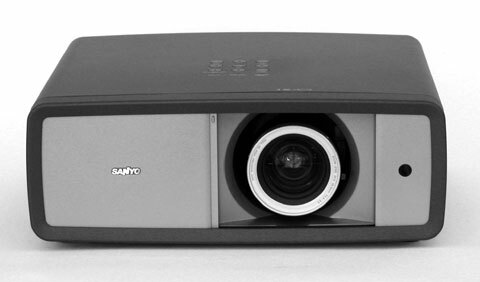 As far as the Sanyo Z3000 is concerned, it is the first home theater projector to come to market with 5:5 pulldown, a unique feature that eliminates 3:2 pulldown judder for any NTSC source being transmitted at 60i or 60p. And it is just the second model to hit the market with a frame interpolation system. Now, not everyone is interested in frame interpolation, or 5:5 pulldown, or 2.35 projection without benefit of an anamorphic lens. But the fact is, none of the other home theater projectors under $10,000 have any of these features. The marketing value of these capabilities is priceless. They get people talking and thinking and arguing about the relative merits of one feature or another. So the Sanyo Z3000 and the Panasonic AE3000 have stimulated a lot of new discussion of home theater projection technologies and solutions. Which is the better projector? Let's start with the basics. 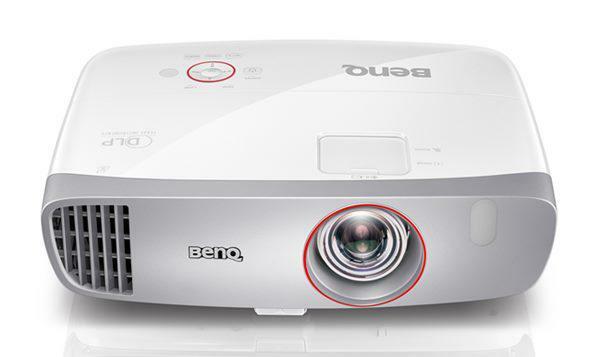 The AE3000 and the Z3000 are both 1080p resolution LCD projectors. They use the same inorganic LCD panels built by Epson. They both have 2.0x zoom lenses, the same throw distance specs, and extensive vertical and horizontal lens shift. They both have a variety of operating modes that offer a range of different lumen outputs that you can select based on your particular needs. When it comes to basic picture quality, there is not much difference between them. The AE3000 is slightly higher in contrast, and can produce a somewhat deeper black. But we would not characterize the difference as earthshaking. The decision to go with one or the other of the two models is unlikely to be based on contrast differences since there are more important features and functions which distinguish these two projectors. In terms of color calibration capability, they both have extensive controls that can enable anyone armed with a meter that measures color temperature to dial in optimum gray scale tracking close to 6500 degrees. With respect to digital noise, they are about equal. As far as image sharpness is concerned, neither has an inherent advantage over the other. At the arbitrary factory defaults, the Sanyo Z3000 appears very slightly sharper. However, either one can be made to looks slightly sharper than the other based on small tweaks to the sharpness controls that fine tune the image without introducing any noticeable or objectionable edge enhancement. Fan noise is not a serious concern on either unit. The AE3000 is the louder of the two. But we do not find the fan noise level on the AE3000 objectionable. In short, if we were buying for ourselves, none of these things would be factors to consider in choosing between the two. In addition, though the Panasonic is somewhat brighter in all modes, the difference is not drastic. Both units, for example, have a very bright mode that can nevertheless be reasonably well adjusted for acceptable color balance. The AE3000's Normal mode on our unit measured 792 lumens, whereas the Z3000's Living mode measured 687 lumens. Either of these modes produces a vibrant picture, and viewed side by side the 100+ lumen difference is almost invisible. In more refined calibrations for maximum contrast and ideal color temperature, both products have modes that deliver about 400 lumens. If you want maximum brightness for lights-on viewing of a football game, the AE3000 can produce 1273 lumens in Dynamic mode, whereas the Z3000 measured 1187. Once again, the Panasonic is a bit brighter according to the light meter, but the difference would never be noticed. The bottom line, then, is that the Panasonic AE3000 has a slight edge in contrast and lumen output, but the overall basic picture quality of the two projectors is comparable, and the lensing on them provides equal versatility for installations in a variety of room environments. I have a 16:9 screen (which works as a good compromise for all movie formats and fits well on the wall of a standard room) and have to zoom in and out (and adjust height) every time I switch between classics and 2.35:1 movies. The black bars (top and bottom for 2.35:1 or left and right for classics) have not bothered me, esp. with the kind of deep black levels one gets today. However, the powered zoom is crucial, since my projector is ceiling mounted -- it would be completely impractical to adjust manually every time. The otherwise excellent and very helpful reviews posted here tend to understress the usefulness (I would say, the indispensability!) of a powered zoom -- at least for users who have ceiling-mounted projectors and watch media in different formats. No mention of the Sanyo's dust cleaning feature? A very interresting comparisson. I like the Panny more, but I'll wait for the Epson 6500 UB review and hope it will have that same Frame Interpolation like the Panny. Also I wanted to thank you for the Felston Audio Delay that was mentioned somewhere. It works extremely good. I had a movie from the internet with a delay of one whole second, and it was no problem for the Felson. You guy's are exstremely helpfull. Hey ProjectorCentral. Can you please post your optimal settings for both projectors? 120 Hz sounds perfect for the upcoming nVidia shutterglasses for stereoscopic viewing, since they require that refresh rate. Would the combination work, are the LCD panels truly fast enough to eliminate left eye/right eye ghosting? If so, I'm sold. The 1:2.35 zoom is not really an anamorphic substitute is it? Surely the point of anamorphic is to allow all the pixels on the LCD to be displayed on the screen, thus maximizing the resolution and light delivery. As described by you, zooming the central band of pixels out wider does not offer this advantage, but just makes the zooming process more convenient. Nice review though! Surley the point of anamorphic is to display the image in a 1:2.35 Format. Panasonics solution may not be a perfect. But it will do a resonable job without the need for an expensive anamorphic lens. A cheap anamorphic lens may not give you a better picture. What about the noise of these 2 products ? Sanyo claims 19dB and Panasonic 25dB, has someone ever compared them ? I am still watching with a Sanyo Z4. I have had it for over 3 years and it has performed flawlessly. After over 1500 hours on the bulb, I replaced it as the picture had lost brightness. This is just to demonstrate the reliability for the Sanyo. As to watching 2.35 as opposed to 1.78 and all the ratios in-between, I haven't discovered any problems. On my 10ft wall-screen (DIY paint yourself screens) the 1.78 movies fill the screen and the 2.35 movies fill the screen horizontally. As was previously mentioned, in a darkened room (movie theatre style) the blank horizontal bars on top and bottom are not really noticed. No refocusing or picture resizing or position shifting is necessary. When I finally upgrade, I'm not sure which projector I will buy, but, at this point, I'm more intrigued by the smooth motion for the Sanyo or frame creation for the Panasonic. Each sounds very interesting and the Panasonic seems to be a little bit better according to the review. The judder problem is quite apparent when viewing panned scenes. As an aside, I've really become accustomed to auto-lens door on my Sanyo. It has worked perfectly and does a good job at keeping dust off the lens. Does anyone have any idea about input lag of these projectors? My PJ use is roughly 50/50 movies/gaming, so this is a huge factor for me. I'd like to know AE3000/Z3000 input lag when frame interpolation is turned off, and when it´s used in max setting (mode 2 / high). I have used panasonic pt ae 700 earlier (first bulb blew at 300 hrs.) which had dust problems sent it for cleaning to company but within few days a blue patch started appearing on bottom right corner which was increasing by the day. ultimetly sold off the projector ( bulb was on 700 hrs.) & bought Sanyo Z-5 which i am using since 2 yrs. bulb used for 1400 hrs. There is no dust problem at all. So according to my opinion Sanyo projectors are more reliable than Panasonic particularly concerning dust problems. I guess performance is by company is somewhat relative to model and even each unit. I have had a Sanyo projector for 3 years (plv-60) and have had a number or problems with it. It got lots of dust accumulation inside, though the filters were cleaned regularly. Then it developed a problem where it began displaying alternating red bars next to dark-light transitions. I sent it to Sanyo and they claimed it was out of warranty, even though I had the original receipt showing it was only two years old. They were supposed to have fixed it (not under warranty, at my cost - I had removed the cover to blow out the dust, and foolishly told them so), but image problems were still present, and now about 9 months later, the original problem is back. I have also read of problems with the PLV-70 blowing bulbs a lot due to heat problems. The moral of the story is that different models by the same brand may vary quite a lot. I've had PLV-Z4 and Z5 for two years, no problems. In a store I compared the noise of the AE3000 and Z3000, and the difference is clear. 6 dB is as such, a huge difference in sound pressure, but of course the basic level is already very low in both units and you can never be sure of the manufacturer's measurements. However, Z3000 is clearly the quieter one. I agree with the insightful remarks (not the reviewer's, who is usually impeccable, particularly as tutor, as I think we all gratefully know) about the aspect-ratio accommodation issues, and the proper way to deal with them. I've used the Pano AE2000, which lacks the memory (and another feature I'll get to), but has the remoted zoom-focus. I have a motorized 130" diagonal screen. The zoom-focus was (and remained) hella fun, especially for focusing (what I thought were pixels from a few inches from the screen. Turned out I was viewing tiny dimples on the screen surface- test pattern more reliable! )and for fine-tuning filling the screen. Most useful is the caliper-like V-H positioning wheels, so unlike the stick-slip joysticks on my other Panos). My ceiling mount could also benefit from such machine-like positioning; it seriously pisses me off. But- back to the equivalent of aperture-plate filing and teasers and tormentors- what you want to to is not zoom or focus for 'Scope, but reposition the image upward and motor-up the screen to frame the bottom edge. The H-V positioner doesn't have to be motorized to do this, nor does the lens. What needs to happen is that the IMAGE raster be painted at the top of the 16X9 imager, rather than by default centered, and the screen needs to be rolled up to mask the blank unused portion of the imager, however good the contrast. Problems do occur when subtitles are maliciously formatted below the frame, but I say just learn a foreign language and chill. This trick could be implemented on my trusty AE100 in firmware; wish they had. Also wish they'd done a smoother job with H-V adjust. One more gripe- color temp varies slightly corner-to-corner, making B%W films and credits agony for lunatics like anyone reading this far. Also: Oano AE100 has heartbreaking chromatic aberration- terrible, inexcusable, although admittedly unnoticeable except to me. AE2000 lens was Canon L-quality perfect. Regarding noise, once again I can speak only of my experience with the AE2000 predecessor, but it was really, truly inaudible, in any mode except ramp-down. I had it on a table at ear-level while fussing with other stuff. Really excellent in that respect, as was (still is) the AE100, though the 100 (ceiling) is barely audible in my woodsy very quiet room if no one is breathing, especially the oversize pooch. Too bad movie sound has a dynamic range around 90-130dB SPL. But it's technically sweet. I seem to have too much time- one more thing about Mr. Powell's bakeoff between the Panasonic and the Sanyo projectors. Not only does it seem self-contradictory internally, balancing each of the shortcoming of the Sanyo by re-iterating the largely useless (he points out, since it's inconsistent with frame interpolation))%:% thing. What's more confusing his unequivocably ecstatic review of the Panasonic (considered alone, at intro) contrasts markedly with his grudging, dutiful concesion that with a laboratory of instrumentation it could produce an image in some respects similar, if dimer, thasn the Panasonic. Plus motorized remoted memorized this and thast, test patterns galore, nifty split-screen- why are these two projectors considered rivals? I say this with such frustrated heat because I just ordered the Sanyo, to check it out, on the assumption that I'll eventually return it and pony up for the Panasonic. The Pano product cycle sems pretty snappy, so maybe there'll be an AE3000.1. I hope it doesn't have a white case- another Powell fundamental world-voew error. Other wise, great work! then BUY THE SANYO! I wish I had! Been using a Sanyo PLV-Z3 now since they came out, still going strong... replaced the bulb once and thats with watching TV shows, sports and movies on it constantly. I had friends who opted for the Panny at the time, they all pooped out after a couple of years due to problems mentioned in posts here. Sanyo definitely has the better build quality. The 3 year warranty doesn't seem to be needed. Probably why they offer it!